The Egyptian Electric Cooperative Board of Directors entered into an agreement with Cooperative member Samron Midwest Contracting of Murphysboro to build a new corporate headquarters south of the intersection of Route 4 and Route 13/127. The new facility replaced the current Murphysboro facility, and a portion of the Steeleville facility. It has been decided to retain the Steeleville site as an operations center. As it has always been, electric service for all of our members and the cost to our members throughout the entire service area will continue to be of the highest priority. MURPHYSBORO – Egyptian Electric Cooperative Association (EECA) has announced the closure of its existing Murphysboro and Steeleville offices as it prepares to officially open its new headquarters facility in Murphysboro later this month. “Although it is bittersweet closing both offices that have been operational for many years, we look forward to providing better resources to our membership and employees with our new headquarters for generations to come,” says EECA Interim Manager Shane Hermetz. The existing Murphysboro and Steeleville offices officially closed for business on Thursday, Oct. 19 at 4 p.m. Egyptian Electric and was closed for employee training on Friday, Oct. 20. The new headquarters facility located at 1732 Finney Road, north of Murphysboro and south of the Route 13/27 and Route 4 intersection, opened for regular business on Monday, Oct. 23 at 8 a.m. to begin servicing members. Some of the reasons for this move are to improve efficiencies, improve workflow for inside and outside functions, combine workforces, and have a state of the art facility for the next generation. The new building is roughly the size of both the old buildings put together, and it was built to accommodate all 38 EECA employees as they merge together in the new office space. Built with energy efficiency in mind, the new facility is equipped with such features as geothermal and automated LED lighting throughout. EECA was also able to utilize a USDA REAP Grant for the improvements from the old sites to the new one. As both Murphysboro and Steeleville facilities will be closed to the public, membership can visit the new EECA’s lobby or drive-thru during regular business hours of 8 a.m. to 4 p.m., Monday through Friday, to make payments or speak to a customer service representative as usual. Payments can also be made after hours outside of the building at the drive-thru drop-box or kiosk. Payments can also be made 24/7 by automated pay-by-phone at 844-759-3977. Off-site kiosks are located at 2301 N Reed Station Road in Carbondale at the Marketplace Shell, open 6 a.m. to midnight, and at 1306 N Market Street in Sparta at Wright Do-It Center, open 7 a.m. to 6 p.m. Monday through Friday and 7 a.m. to 3 p.m. on Saturdays for members’ convenience. The Murphysboro office is currently for sale with a realtor, but the Steeleville will continue to be owned by EECA. Although the front office will be closed to members, it will still be used as an operation center for employees. Crews will work outages that occur after hours, along with other responses and warranted daytime work, out of the Steeleville Operations Center. No open house date is currently scheduled, but EECA hopes to announce one for the Spring of 2018. For more information, go to EECA’s website at www.eeca.coop. From our earliest days in 1938, Egyptian Electric Cooperative Association has gratefully become a thriving electric Cooperative. Future planning for our members was, and always has been, a top priority. Part of the planning process is to evaluate the need of facility space. The very first meeting place of our Cooperative was held at 1000 Hanson Street in Murphysboro, Illinois. In late 1938, the very first cooperative headquarters was established in Campbell Hill, also known in the news as the Campbell Hill Cooperative. Early Cooperative leaders struggled with the permanent placement of office facilities, eventually deciding on Steeleville and Murphysboro as locations for district offices. In the late 1940s, a district office was established to the outskirts of Murphysboro, the site of a closed chicken factory, that was later rebuilt. Over 60 years ago, and with much controversy, it was voted to relocate the headquarters to the Village of Steeleville, closing Campbell Hill, and not choosing the other front runners of Chester and Sparta. In early 1950, the current Steeleville office building was constructed. Over the last twenty-five years, Cooperative leaders have discussed various alternatives to address both locations as they have been inadequate in space, functionality and efficiencies. Equipment has grown larger, and technological equipment more important. The Murphysboro facilities have altogether become outgrown, as the southern service territory and new membership continues to develop. Being organized in the same era as the other electric cooperatives nationwide, and going from 500 members to 15,000 members, this situation is not surprising. Today we have come to a cross-road where our growing needs must be acted upon. In early 2015, Egyptian Electric’s board of directors instructed management to review and assess both office facilities. Upon review of their information, they then requested outside professional assistance in the evaluation process. The Cooperative entered into an agreement with a consulting firm specializing in cooperatives, Cooperative Building Solutions, to evaluate both locations by identifying options to address the needs and problems. The study revealed numerous issues that included lack of vehicle and material storage space, lack of member convenience and privacy, lack of security, lack of critical technology and lack of current ADA requirements. The consulting firm confirmed that something needed to be done. After having described the problems, solutions had to be addressed. They found that both existing facilities faced extreme challenges in an effort to make the facilities adequate and up to code, such as unsecure sites, poor site layout inside and out that are not ADA compliant, and dangerous points of access to name a few. We also found out for ourselves in 2009, the lack of disaster resistant areas for we had for our employees, as well as the unsatisfactory facilities we had for accommodating the help needed in emergency situations. By late 2015, the board of directors concluded that a second outside professional assessment should be completed. A collection of local professionals assembled to present to our Cooperative leaders their assessment of our current offices and facility needs. The group was led by White and Borgognoni Architects from Carbondale, engineering was led by Asaturian Eaton and Associates, also from Carbondale, with support from BRiC Partnership Consulting Engineers, located in Belleville, Illinois. The Cooperative then compared and evaluated the given and available options to address the present and future needs of the Steeleville headquarters facility, and the fast growing needs of our Murphysboro site. Both studies came to the same conclusions, some improvements were feasible, yet with high price tags that would only delay our superseding needs. At Murphysboro, even if upgrades were made to the building, it would not address the hindering issues with vehicle storage, material storage, parking and site access that would remain due to the inability for property expansion. Meaning it came down to either proposing to make substantial improvements to both sites to last another 50 years, or look at relocating or developing at least one new site. Our Cooperative leaders then began more seriously evaluating locations for new facilities. Locations were explored that had existing building(s) and sites that did not, from Steeleville – toward Chester and Sparta, and from Murphysboro to Vergennes and Carbondale. Factors of importance included the size of property, location and accessible with our large equipment and trucks. Proximity to our three phase electric service, sufficient water service, and high speed fiber optic services would also be important considerations for the potential property. Management analyzed member patterns regarding membership growth, payment locations and methods, as well as new construction, service upgrades, and outage restoration. The results of this study indicated members were making payments more by electronic methods, by phone and automatic transactions opposed to face-to-face transactions. Research also showed, when members did decide to travel to an office to make a payment, majority chose the Murphysboro office. This movement was also echoed in the construction world, where approximately 80% of the trending service and work orders were being completed out of the Murphysboro office. Understanding that every member is the most important member, the needs of all members have been kept in the forefront of decisions, and the ones yet to have be made. 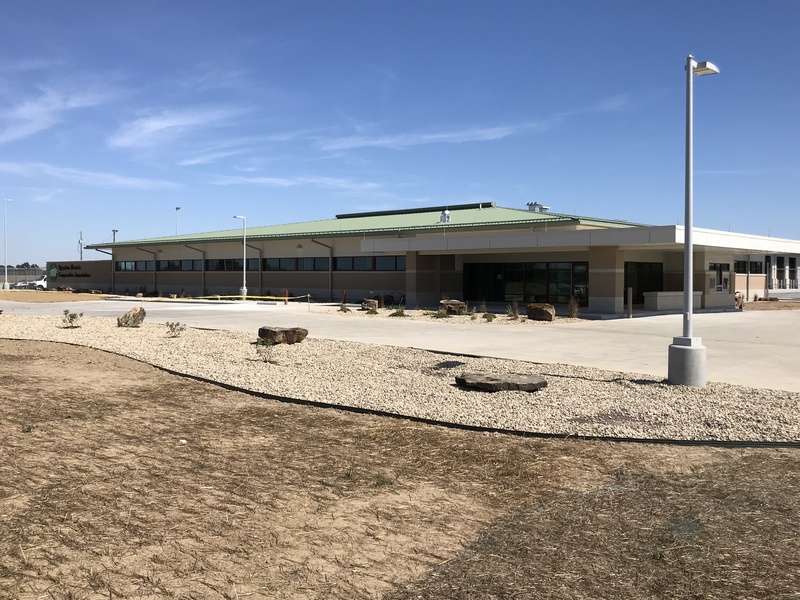 By mid-2015, Cooperative leaders made the decision to move forward with the conceptual design of one new facility, and for it to be directed by the local architect and engineering group. After years of research, the property would be chosen south of the intersection of Route 4 and Route 13/127. This location would have the same estimated drive time from Lively Grove and Red Bud, to Interstate 57 south and Johnson County, and offers numerous advantages not available at the existing locations. It is also located in an enterprise zone, with tax incentives, and across the road from one of our substations, meaning that we would now have to ability to provide our own electricity, with minimal line extension costs. In the new facility discussions, the Cooperative began evaluating the best time for implementation. As a result of the downturn in the U.S. economy in 2008, interest rates were still at an all-time low, and with probability to never be lower. Due to the lack of complete economic recovery in the Midwest, construction costs were projected to still be reasonable, but would likely begin to increase as the economy improves. It was concluded that the most fiscally responsible time for construction, for the membership, was now. By mid-2016, after management and employee input was provided to the architects from the preliminary plans, a final plan was established and prepared to send out for bids. We strongly feel from start to finish that the overall plans are the most basic and practical to serve its purpose, yet well placed and expandable if ever needed. The proposed building, warehouse, covered garage and site are sized for all current functions and for anticipated future growth. From the beginning, it was envisioned to replace the Murphysboro office, yet as time passed it made sense to build it as the new headquarters, with the space to retain everyone if decided. The office and linemen’s area is 16,700 ft2, the mechanics and warehouse is almost 13,000 ft2, and the vehicle storage is approximately 20,300 ft2. To this point, confirmation of construction was never absolute or confirmed, because if the total cost and bid prices came in too high, the entire construction project could be halted and therefore reevaluated. Bids were released July 14th and after review, we wish to inform you that the EECA board of directors voted on August 30, 2016 to proceed with the construction of a new headquarters. The bid for the project was approximately $9.5 million, to be completed by Samron Midwest Contracting, a local contractor and member. It is projected to break ground this fall, with the goal to be ahead of the winter weather. At this time, it has been decided to retain the Steeleville property as an operations center. It will provide better work flow, productivity and efficiencies that will be most beneficial to our members. The average rate impact to the member is expected to be less than 1%, due to increased efficiencies and reduced duplicative functions that come with running two office complexes, including interconnection costs, regular monthly bills, duplicate equipment and so on. Your Cooperative is very excited about the construction of a new headquarters facility and how it will help in continuing to provide safe, reliable and affordable electric service for many more decades to come to serve all areas served by Egyptian Electric Cooperative.